Vigo, Spain - With their steep cliffs, white beaches and giant colonies of seagulls, Spain's Gallic island in the Atlantic count among the world's most beautiful national parks. Few tourists forget their visit to the islands of the gods. Ramon Guimerans carefully steers his sailboat through the mussel shoals in the Ria de Vigo. Fishermen pull up ropes, some up to 15 metres long. The mussels cling to the ropes, which are then loaded into boats with cranes. Then its time to head back to the Cies islands. It's only a few minutes until the Rodas beach and the spit of land between the islands of Monteagudo and Illa do Fora come into view. Ramon lowers the sail and anchors the boat. The turquoise water and the white beach stand in stark contrast to the pinewood and eucalyptus forests. After seeing this view, its easy to see why the British newspaper The Guardian two years ago designated the beach as the nicest beach in the world. "Ever since then, we've barely been able to fend off the questions about visits," says park ranger Jose Manuel Lopez. Only 2,200 people are allowed to visit the island daily. The Cies consist of the islands of Monteagudo, Illa do Faro and San Martino. Together with the island group of Ons, Salvora and Cortegada, along with about 20 smaller islands, they make up the Atlantic Islands of Galicia National Park. About 80 per cent of the park is underwater. "Every island group is situated before a fjord-like river outlet along the Gallic coast. The back and forth between the salty Atlantic and the freshwater of the Rias Baxias is responsible for the high water quality and the concentration of nutrients," explains the ranger. The result is an underwater world with 200 kinds of algae and numerous crustaceans, octopi, fish, dolphins, turtles and whales. The isolation of the island also attracts aquatic and predatory birds. 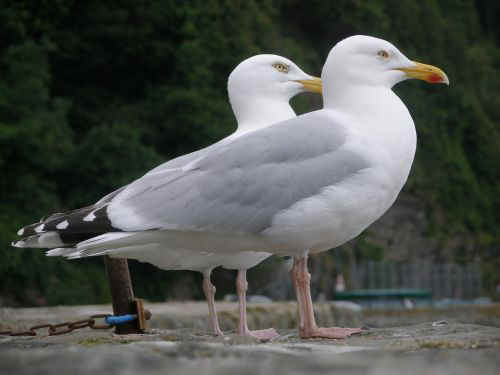 With about 22,000 nesting pairs, the island has one of the world's largest seagull colonies. Viewing is possible from an observation site at Alto de Campa. Nearby are remains of settlements dating back to 3,500 BC. The Romans also set up communities here in 200 AD, naming the Cies the islands of the Gods. The Cies have been unpopulated since the 18th century. There are few things more exciting than sailing along the steep cliffs of Ons and Onza. Locals can often be seen in the middle of the dangerous job of collecting buoy barnacles and mussels. Stone crosses on the cliffs serve as a reminder that many fishermen have lost their lives on these breakers. Paths on the island lead to lookout points, such as Mirador de Fedorentos, with its view of Onza, Cies and the Burato do Inferno, the hellhole. Ons is the largest and the only populated island. About 20 people still live here, going about their days much as people did 50 years ago. "But we're content. We have our peace and everything we need: meat, octopus, goats, chicken and vegetables," says Victoria, as she herds her goats into a stall.